It was a strange first two days of the draft, with no consensus 1-1 overall, some very last minute moves, and some pretty surprising picks. For me, the best player in this draft (NJ prep LHP Jason Groome) fell all the way to 12th and the Phillies picked a kid 1-1 overall in Mickey Moniak who seems to have the ceiling of a weaker Steve Finley. We saw a consensus top-5 pick test positive for PEDs (Delvin Perez), and a sub-par CWS appearance cost A.J. Puk millions of dollars as he falls from everyone’s 1-1 prediction to #6 overall. The Nats seemed to really depart from the draft strategy we’ve seen the Mike Rizzo-led front office follow in the past, where they normally focused on college arms with an occasional high-ceiling prep bat. Here’s a quick look at the top 10 draft picks with some thoughts. Pick by Pick: if they’re ranked on the four main rankings sites I like (Keith Law, MLBpipeline, BaseballAmerica, and BaseballDraftReport) I’ll note them as such. Links to these three master rankings are at the bottom of the post. 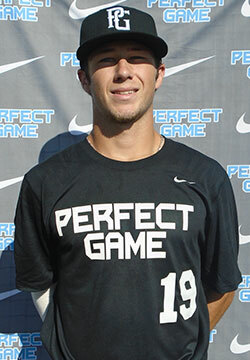 1s/28: Carter Kieboom, SS/3B from Georgia HS. Law #27, MLB #45, BA #44, BDR #14: Brother of our budding C prospect Spencer Kieboom, Carter is thought to be the best of three baseball playing brothers. Described consistently as a great hitter, one of the best prep hitters in the class, he currently plays SS but is projected to move to 3B. He’s an overdraft according to MLB and BA but right in line with Law’s rankings (Law tends to favor toolsy prep players over lower floor/lower ceiling college guys). My thoughts: very surprising first pick here; as we soon find out, the team is clearly focusing on bats this year and has no qualms about picking a guy who won’t feature for the MLB team for years. Update: he’s *already* signed! 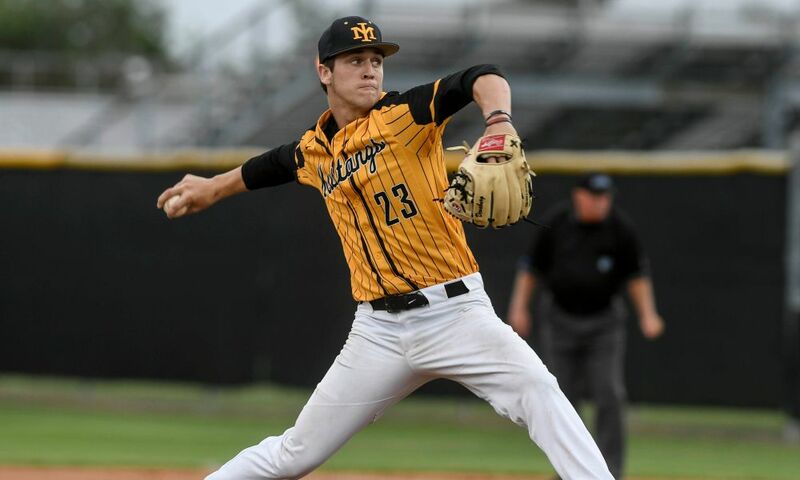 1s/29: Dane Dunning, RHP starter/reliever from Florida. Law #25, MLB #59, BA #60, BDR unranked. Once again, Law has this player significantly higher than MLB or BA. For me its notable that when projected 1-1 pick A.J. Puk got hit around in the CWS regional, it was Dunning who came in and pitchd 3 2/3rds of 1-hit ball to win the game for Florida. It wouldn’t be the first time that a college coach mis-used a quality arm (see Illinois using Tyler Jay inexplicably as a closer most of last year). Dunning goes before even his team’s friday starter Logan Shore and surprised the heck out of me. Especially when you consider who was still on the board in terms of college arms (notably Anthony Kay and Dakota Hudson, both of whom went in the picks just after Dunning. I’m talking myself into Dunning though; he was on my very early list for upper 1st round talents anyway, and seems like he was a better pro prospect than guys pitching ahead of him in the Florida rotation. Florida is known as a great program for developing arms, and he comes to the Nats without a ton of use. 2nd/58: Sheldon Neuse, SS/3B Oklahoma. Law #60, MLB #50, BA #129, BDR #40. Interesting discrepancy of opinion on Neuse; MLB likes him a ton and thinks the Nats got good value. He’s a 3-time all-Big12 pick who likely moves to third in pro ball and also throws out of the Oklahoma bullpen (so there’s a reliever fall back; he’s clocked at 94). At the plate, he’s got a ton of power, profiles as a 3-true outcomes guy and drastically improved his walk rate this year. The scouting reports also think his big arm could profile in RF, and his size could look promising behind the plate. He sounds like a polished college hitter with some pop, not unlike last year’s 3rd rounder Rhett Wiseman. 3rd/94: Jesus Nuzardo, LHP from Florida HS. Law #42, MLB #77, BA #50, BDR #58. The Nats special; a Tommy John reclamation project. Nuzardo was projecting as a mid 1st rounder early this spring before blowing out the elbow; if he comes back to form, then the Nats just stole a 1st round talent in the 3rd round. You’d have to think that Nuzardo’s advisor will tell him that it makes more sense to join the Nats and their experienced TJ-rehab team than to head to Miami, but we’ll see what happens. 4th/124: Nick Banks, OF from Texas A&M. Law Unranked, MLB #101, BA #88, BDR #148. I love this pick; Banks led the US Collegiate national team in hitting just last summer, but his stats backed up after he had a minor surgical procedure. Skills don’t erode overnight, and Banks was thought to be a mid 1st round pick who slid precipitously. I think the Nats got an absolute steal here and Banks will be a stud for this team for years to come. 5th/154: Daniel Johnson, OF from New Mexico State. BA #222. Johnson was the WAC player of the year, hit for power and average. Barely rated and seems like he’ll sign for slot or less. Sounds like a nice little value pick. 6th/184: Tres Barrera, C from Texas. Law unranked, MLB #194, BA #284, BDR unraked. A Catcher who had the defensive flexibility to move around as the Texas team needed him. This is more than just a filler pick at this point; i’m guessing he signs for a bit less than slot and could feature later on. 7th/214: Jacob Noll, 2B from Florida Gulf Coast. BA #240, BDR #193: Nice slash line for a senior, even if it was in a weaker conference. 367/.427/.620 . Classic senior sign; 6th-10th round, middle infielder, likely a nominal bonus to save cash for later. Can’t argue with the pick. 8th/244: A.J. Bogucki: RHP reliever from UNC. BA #263, BDR #388. Nice stats for a guy at this point: 9.48 K/9 – 4.47 BB/9 – 50.1 IP – 2.86 ERA. Good MPH on his fastball, looks a little wild though. I wonder if he signs. Still has a year of eligibility and he’s in that area where they’re looking for bonus savings. 9th/274: Joey Harris, C from Gonzaga; unranked anywhere. Classic college senior sign who likely backs up Barrera at Auburn. 10th/304: Paul Panaccione, Sr. SS from Grand Canyon U. See 9th round pick; likely a one-and-done middle infielder for Auburn in 2016. 8 Position players, just 3 arms. Regional breakdown: 5 from SouthEast (Georgia, Florida, North Carolina), 5 from the South West (Oklahoma, Texas, New Mexico, Arizona), and one from the upper NW (Washington). Conclusion: I like the first four picks, a lot. Keith Law liked the Nats first couple of days too. I like the focus on hitters after years of focus on arms. I like the underrated pick up of Dunning over other “big name” guys who may be overrated. I love the Banks pick; think its a steal not unlike the situation where Rendon fell to the Nats because of a short-term injury concern. I know practically nothing of anyone after Banks. MLBDraftInsider’s Chris Crawford has done a host of Mock Drafts this spring (the sixth version dated 5/28/14 and the “near final” version on 6/2/14, his penultimate mock on 6/3/14, his “really final” board on 6/4/14 and his “final mock ever” on 6/5/14) and in his last mock has come down on the Nats taking Hoffman. Predicted top 5 in final mock: Aiken, Rodon, Nola, Conforto, Gordon. Same movements that Law is projecting at the final minute. ESPN’s Keith Law put out his first mock draft on 5/16/14, his second on 5/27/14, his third on 6/4/14 and his final/last on 6/5/14 and had the Nats on Erick Fedde, calling it a “lock” in the industry. Top 5 in the latest mock: Aiken, Rodon, Nola, Conforto, Gordon (only list on here without Kolek in top 5). MLB.com’s Jonathan Mayo posted a mock on 5/16/14, another on 5/30/14. One last one 6/5/14. 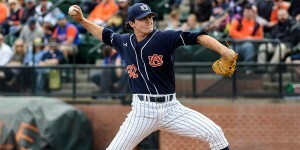 In his latest he went Aiken, Jackson, Rodon, Kolek, Gordon. He has the Nats taking Jeff Hoffman, saying that it could come down to “financials” and who is willing to go over-slot. MLB.com’s Jim Callis posted his latest mock on 5/23/14 and one last one 6/5/14. He went Aiken, Jackson, Rodon, Gordon, Kolek. He has the Nats on Hoffman as well, but in the description basically says he says Hoffman could go top 10 and/or the Nats could take Fedde. MinorLeagueBall’s Matt Garrioch posted his first mock draft early (3/10/14), his second on 5/19/14. His top 5: Rodon, Kolek, Aiken, Jackson, Gordon. He has the Nats on Kyle Schwarber. ESPN’s Jim Bowden posted his Top-10 picks on 5/28/14, trying to think like the GM of each top-10 picking team, and went Rodon, Aiken, Kolek, Jackson and wildcard Freeman. BaseballAmerica’s John Manuel has posted mock drafts on 5/9/14, 5/16/14 and v3.0 on 5/25/14 and his final the day of the draft 6/5/14. His top 5 in his most recent mock: Aiken, Rodon, Kolek, Conforto, Gordon, with the Nats on Fedde. GradingontheCurve’s Shaun Kernahan put up his mock draft 5/29/14. He went Aiken, Rodon, Kolek, Jackson, Gordon with the Nats on Gatewood. MinorLeagueBall did a community Mock Draft on 5/30/14 (so, not full of expert opinion but interesting nonetheless to see what the crowd-sourced opinion on players is). They went Aiken, Jackson, Rodon, Kolek, Gordon with the Nats taking Conforto. Based on where Conforto is now being projected, there’s little chance he survives to #18. BaseballInstinct’s Thomas Belmont has a top-200 draft board that isn’t a mock draft but lists top 5 as Aiken, Jackson, Kolek, Rodon and Toussant. 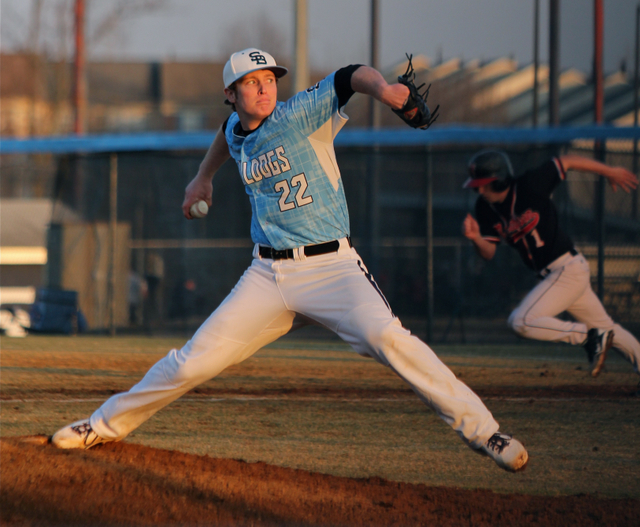 #18 is Grant Holmes, who I would be surprised if the Nats picked despite his pedigree. He posted his mock draft on 6/4/14 where he follows his board, but I have a problem with his rankings considering what the professional reporters above are showing for top 5 and for the Nats. 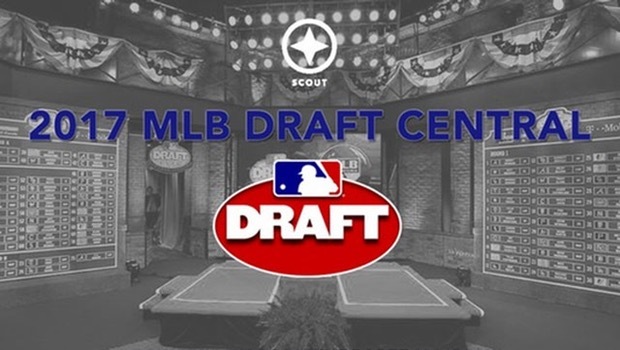 PerfectGame’s Patrick Ebert posted a bunch of mock drafts; in his last one on 6/4/14, he went top-5 of Aiken, Rodon, Kolek, Gordon, Nola with the Nats on Bradley Zimmer. Si.com’s Dave Perkin (a former professional scout who does some writing) posted a last-minute mock 6/5/14 online. He goes Aiken, Rodon, Kolek, Freeland, Jackson with the Nats on Beede. I like this scenario. How do I think the top 5 will go? I like Aiken #1, Rodon to the Marlins (for the cuban-american/quick to the majors factors), then Kolek. From there I have no idea; the Cubs by all accounts want a college arm but the next best one (Nola) isn’t worth the #4 spot. Maybe they take a college bat (Conforto? ), maybe they go BPA. I’m guessing they bite the bullet and play the hand that they’ve been dealt and get Jackson or Gordon 4th, with the other going 5th. ACTUAL DRAFT RESULTS: Aiken, Kolek, Rodon, Schwarber and Gordon. Who was closest? hard to tell; Schwarber came out of nowhere, and nearly everyone had Rodon before Kolek. Carlos Rodon: lhp from NC State; was the heavy consensus 1-1 overall pick all winter, but a rough spring and high pitch counts have dropped him on most people’s mock boards. 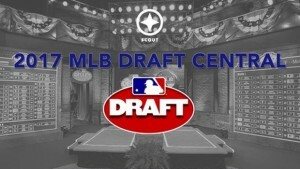 Scout.com has a detailed scouting report and video. Scouting Video from Keith Law. 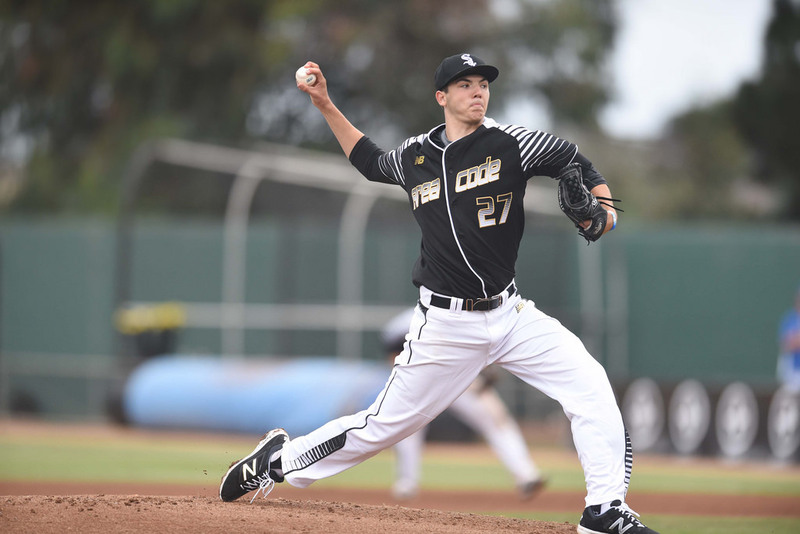 Brady Aiken is a prep lhp from San Diego who could be just the third high school pitcher ever picked #1 overall. Scout.com has a detailed scouting report and video. Keith Law scouting video. Alex Jackson is a prep C also from the San Diego area. Scout.com has a detailed scouting report and video. Scouting video from Keith Law. Tyler Kokek is a prep RHP from Texas with big time stuff; 100mph velocity on his fastball. Scouting video from Keith Law. Aaron Nola is a polished RHP friday starter for LSU who may not overpower you with velocity, but is a good pitcher. Scouting Video from Keith Law. 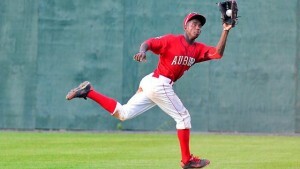 Nick Gordon is a prep SS from Florida. Scouting Video from Keith Law. Michael Conforto is a junior OF from Oregon State. Kyle Freelan is a lhp junior starter from Evansville. He has good velocity, a good slider and great control. Max Pentecost is a C from Kennesaw State who may be a stretch to go top-5 but should be top-10. Touki Toussaint is a prep RHP from Miami, FL who is considered the second best prep RHP arm behind Kolek; he doesn’t quite have the velocity but he has better secondary stuff. MLB.com reports that seven of these guys will be in-studio during the draft (all high schoolers), including a couple that may drop out of the first round (could be a bit embarassing for both them and MLB). Erick Fedde was UNLV’s friday starter before going down with the dreaded Tommy John injury, diagnosed on 5/10/14. Before his injury Fedde was projected in the same general area where the Nats are picking … which makes me question this prediction. I could understand if Jeff Hoffman falls (a projected top -5 pick) to #18 grabbing him … but here I don’t know if I’d agree with picking a guy who you won’t see for a year and a half in uniform. Though that being said, BA had Fedde ranked #8 in their top-200 pre-injury draft rankings, so perhaps grabbing him at #18 could be appropriate. Tyler Beede: RHP Vanderbilt starter, who was a projected top-10 pick thanks to his amazing sophomore season (14-1, 2.32 ERA and a Golden Spikes finalist), before a rough season (7-7, 3.49 ERA and 92/41 k/BB in 91 innings) dropped his draft status. He turned down a big bonus out of HS as a Toronto 1st rounder and that apparently (combined with unknown/unstated “make-up” issues) has him dropping fast. Personally, I think he could be a steal at #18. BA’s Aaron Fitt profiled Beede on 5/29/14. Scouting Video from Keith Law. Kyle Schwarber, C/1B power hitter from Indiana. Listed as 6’0″, 240. .340/.450/.623 on the year with 12 homers, 27/41 K/BB ratio in 215 ABs. Great numbers if he’s really a catcher; some listed him as C, others at 1B. Question: Big10 baseball isn’t exactly the SEC; are his stats padded thanks to playing a bunch of weak programs all year? Jeff Hoffman was ECU’s friday starter and a consensus top-5 predicted pick (perhaps as high as #3) before being felled by TJ surgery (diagnosed on 5/8/14). I think he’s a huge long-shot to make it to #18 because Toronto picks twice in the top 11 picks and it makes complete sense for them to use their 2nd pick to take Hoffman, save some slot money and basically temper their draft risk by virtue of having a second high pick. Scouting Video from Keith Law. Jacob Gatewood is a prep SS from Fresno, California who has a ton of power for a middle-infield bat (he won the prep home run derby held during last year’s all-star game festivities), even if he has to move off Short to 3B. Gatewood gets some mention as a potential Nats pick, but this seems very much out of Mike Rizzo‘s style. I cannot see the Nats taking a high school player unless someone falls to them unexpectedly. Scouting Video from Keith Law. Casey Gillaspie is a 1B from Wichita State with huge power numbers in 2014: .389/.520/.682 with 15 homers and 28/58 K/BB ratio in 211 ABs. But, like with Schwarber, do you draft a guy who is already locked into first base? Are his numbers a mirage thanks to the weaker Missouri Valley Conference? Michael Chavis is a prep OF/3B from Georgia who Crawford has the Nats taking in his mock draft … but which I cannot believe will happen. I just don’t see Rizzo taking a HS player, practically ever, unless there’s huge upside or value. Brandon Finnegan: friday LHP starter for national seed TCU. Undersized but a big-time arm. Not the prototypical pick for Rizzo (he likes big, tall guys). Grant Holmes is a big RHP prep pitcher from South Carolina who likely goes before #18, but if he’s sitting here he could get a look. Bradley Zimmer is an OF with a brother already in pro ball from San Francisco. Who do I like for the Nats at #18? Honestly, I think picking TJ surviver Fedde at #18 might be an overdraft. Now, if Hoffman fell there I’d grab him … but most pundits put Hoffman at #11 (Toronto’s extra 1st rounder). I’d love to take a crack at Tyler Beede; he was so good last year and I don’t think he’s forgotten how to pitch. I like Finnegan too. Maybe they go with a college bat. But one thing seems certain; I just cannot see one of these HS names at #18. I think they’ll take someone whose quicker to the majors. ACTUAL DRAFT RESULTS: In what may have been the worst kept secret of the draft, Nats take Fedde.